Hi everyone, today I'm up on the Sunny Studio Stamps blog using the new Quilted Hexagons stamp set and coordinating dies. This set has endless possibilities and is so super unique and fun to use! 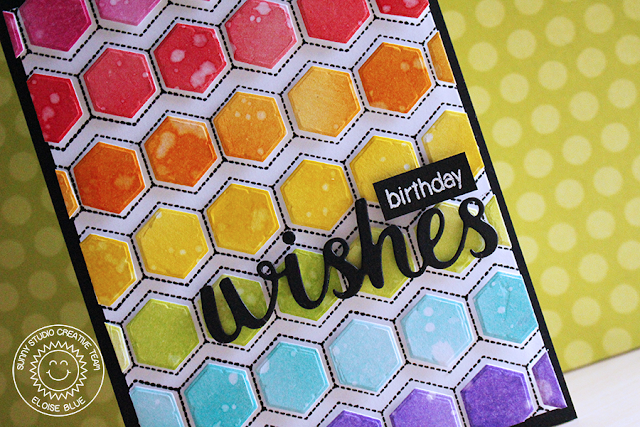 Of course I made a rainbow card today, making a full background out of these hexagons. Go check out the blog for more information on how I made this card!